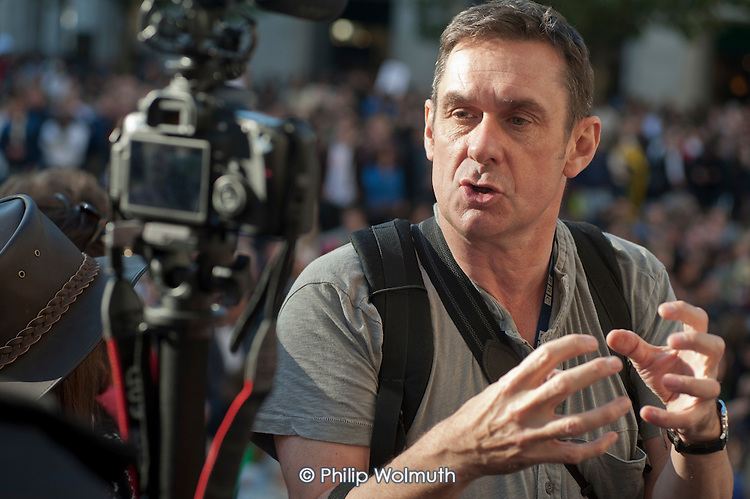 BBC journalist Paul Mason records a report using a DSLR camera. Occupy the London Stock Exchange. Protesters gather at St.Pauls Cathedral on a global day of action against corporate greed.